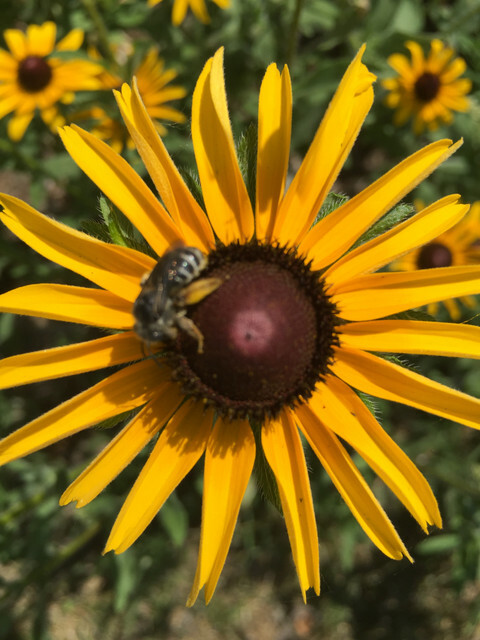 This entry was posted in Bees, Flower, New Flower, Photography and tagged bee, Black-eyed Susan, in the neighbourhood, July 9, new flower, photography by Mama Cormier. Bookmark the permalink. Such a simple flower but I love it in arrangements. They grow wild at the cottage and I can’t wait to get out and cut some for my vase. Thank you Maranda. It’s easy when the subject is so lovely.